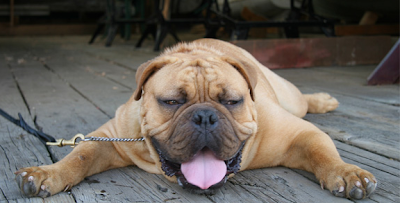 amanda mcclements & metrocurean: Where Are The Best Dog-Friendly Patios? Where Are The Best Dog-Friendly Patios? With the dog days of summer behind us, this cool fall air makes outdoor dining all the more desirable. For some, the deal is sweetened if canine friends are welcome, too. I've had several readers recently ask about dog-friendly restaurant patios. I typically dine sans dog thanks to his, um, protective personality, but where do you dog owners out there take your pets? All Kimpton hotels (here's an area list) pride themselves on being open to four-legged friends. Alexandria's Hotel Monaco hosts a dog happy hour Tuesdays and Thursdays through October. On Mondays, Cantina Marina offers Milk Bones for dogs and $2 corn dogs for the humans during happy hour. One reader reports her dog has been welcomed on the patios at Bangkok Bistro, Nooshi, Cafe Milano and Zaytinya. Another reader recommends Union Pub and Adams Mill Bar and Grill. Houndstooth Gourmet just posted about Barkley Square's happy hour in Del Ray. What other patios allow dogs? Via a Twitter suggestion comes this great menu for dogs at Pat Troy's in Alexandria. You can always bring your dogs to the beer garden at wonderland, and hotel helix used to have a dog happy hour with burger specials for the humans on wednesdays. I believe that the Argonaut (on H Street) is dog friendly. Re: Argonaut. And apparently awesome fish tacos. Comet Ping Pong's new patio has a dog bowl...for dogs. Plus, dogs like pizza. Solly's Tavern on U Street allows dogs on the patio. Word on the street is Commissary - the redo of Merkato - is going to be super pet friendly. We used to bring our dog to the patio at Larry's Lounge, and get food delivered from the Malaysian place next door. Curry, beer and my dog at my feet: heaven! Rosemary's Thyme and 17th Street Cafe are both places that are welcoming to our furry friends!